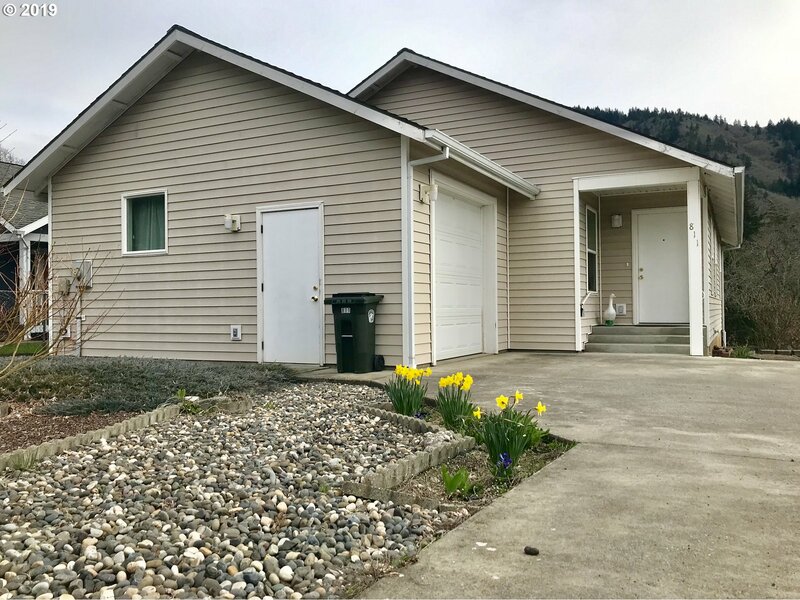 All White Salmon homes currently listed for sale in White Salmon as of 04/20/2019 are shown below. You can change the search criteria at any time by pressing the 'Change Search' button below. If you have any questions or you would like more information about any White Salmon homes for sale or other White Salmon real estate, please contact us and one of our knowledgeable White Salmon REALTORS® would be pleased to assist you. "8bed/6.5bath multi-family property on the White Salmon bluff. 5 units all on separate meters. The main home has 3 units and there is also a detached duplex. Spectacular Mount Hood, Columbia river, and Hood River city views! Enjoy the views from the amazing terrace & multiple decks. The homes are within walking distance to downtown & in a very quiet, private area. Check with county for possibility of dividing the property." "Arguably the best homesite on the Bluff! Perched on a natural outcropping the home enjoys panoramic views of the entire Gorge and is home to The Gorge Christmas tree. 6 beds, 3 1/2 baths, huge home office with separate handicapped access, paver-patio extending to bluff line -- UNBELIEVABLE ENTERTAINING location. Pre-qualified buyers only." 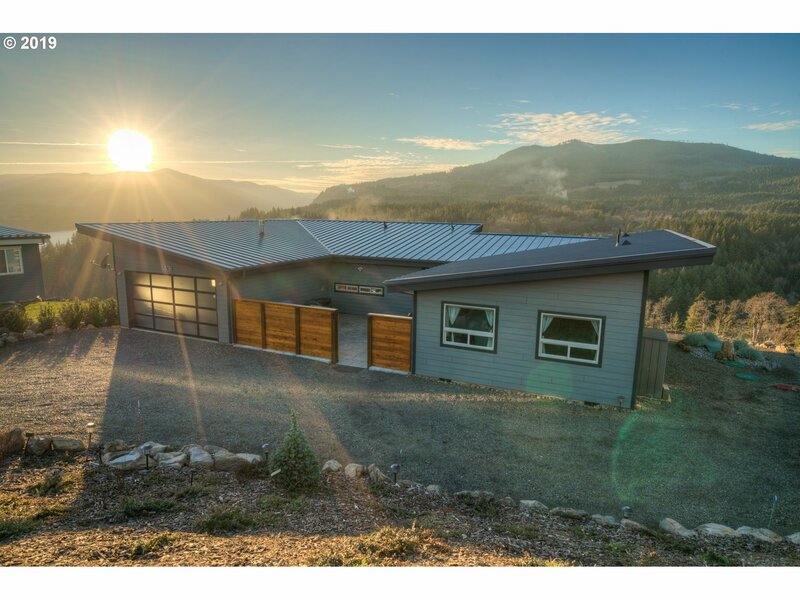 "Custom Gorge Home with breathtaking views of The Gorge! Panoramic feel looking west down the Gorge or South to Mt Hood. With 5 bedrooms, 4 baths; features including: granite countertops, stainless steel appliances, hardwood floors, tile, updated heating/cooling, wrap around porch with top grade spa, steam room & more. ADU Unit in the basement includes full separate living quarters. Home is currently used as a short-term rental." "New construction on the Westside bluff in White Salmon. Ready for you to select your finish materials, cabinets, counter tops, appliances, flooring, trim and doors, decks and railings. Wonderful multi-level home with outstanding views of the Columbia River, The Gorge, White Salmon River and Mt Hood. In area of newer homes. Ask your real estate broker to provide you with the construction budget for the finish materials." 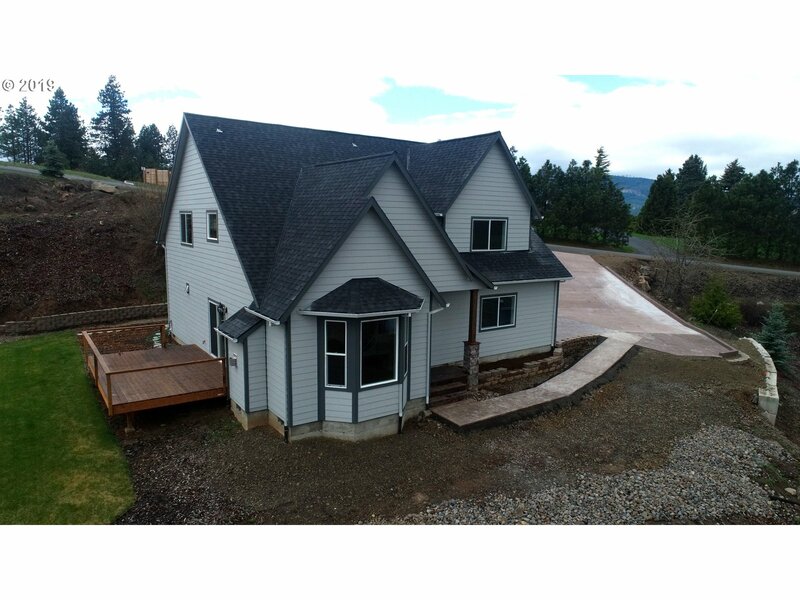 "Nestled on 1 beautiful acre featuring mountain & river views, builder's own custom home w/ many amenities: Open concept living is perfect for entertaining, vaulted cedar ceilings in great room, updated gourmet kitchen, full basement, bamboo flooring, hydronic heating system, master on main, inground saltwater swimming pool w/power cover, A/C, large shop w/office. Don't let this one get away, call today for your private tour!" "Simple perfection! Outstanding views! Custom one level home w/daylight basement w/guest quarters. Quality construction w/open living design. Gas fireplace, wetbar, eating bar, stainless appliances. Spacious entry, wide hallways, laundry on main. Private Mstr. Suite w/private deck & hot tub. Mstr. Bath w/heated tile floors, walk in shower, dbl. sink vanity. Great lighting throughout & great storage. Gated courtyard plumbed w/nat'l gas." "Sweet 'fixer' farmhouse on nearly 12 acres with Bartlett and Bosc dryland pear orchards. Beautiful long tree lined driveway gets you far off 141 and away from traffic. Add your elbow grease to make this diamond shine again. Call to see this today and make time to walk the property. Potential to divide per Klickitat County." "2 semi private wooded acres w/one level New Construction home. Beautiful wood trim & door package. 9'ceilings, Trane HVAC system. Solid kitchen cabinets, quartz countertops, SS appliances, walk in pantry. Phone center. Private mstr ste W/walkin closet, Jetted tub, walkin tile shower & water closet. Lg. mud room/laundry off the OS 2 car garage. Poured patio & driveway apron w/sidewalk to lovely cedar decked entry. Yard sprinkler 1-zone." "MUST SEE! New const. Modern farmhouse-style home. Open floor plan, many custom wood accents inside inc wood features using reclaimed 100+ yr old barn wood, walk-in pantry w/floor to ceiling shelving, custom bar w/built in wine storage, soft close drawers throughout, 9 ft ceilings both floors, upgraded carpet/pad, 12ft dbl slider patio doors, 450 SF covered Axek deck. Quartz counters, loft upstairs. Amazing views! All appliances inc w/d." "Beautiful New Contemporary on.46 Acre Lot in the Heart of W.S! Stylish Great Rm.w/Gorgeous Acacia Wood Floors thru-out the main Level,Gas FP w/Granite Surround, Gourmet Granite Kitchen w/Lg.Island & Eating Nook. 2 Wonderful Mstr.Suites-Main Level Suite w/Jetted Tub, W-In Shower & Closet + Private Patio! Heated Floors in All Full Baths.Driveway is Plumbed for Heat + Full RV Hook-up w/Power, Septic Dump & H20. New Builder Updates too!" "Like new, 3 bed/2.1 bath contemporary construction with high end finishes, ss appliances, quartz counters, wood floors, Indoor/outdoor fireplace and luxurious master bathroom. 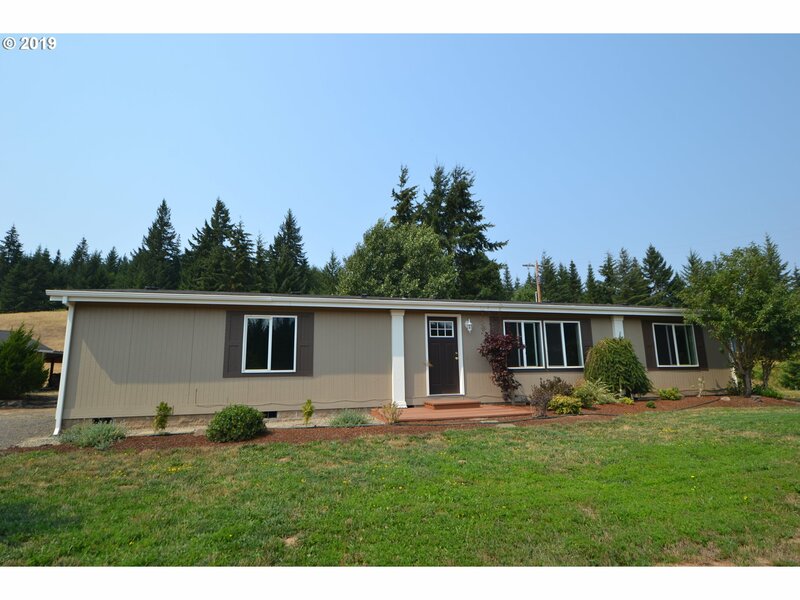 Situated on close to an acre with room for additional structure or shop. Mount Adams view from main floor, master and covered deck. Cozy concrete patio with wood fire pit. All this and just 10 minutes from White Salmon and the Hood River Bridge." 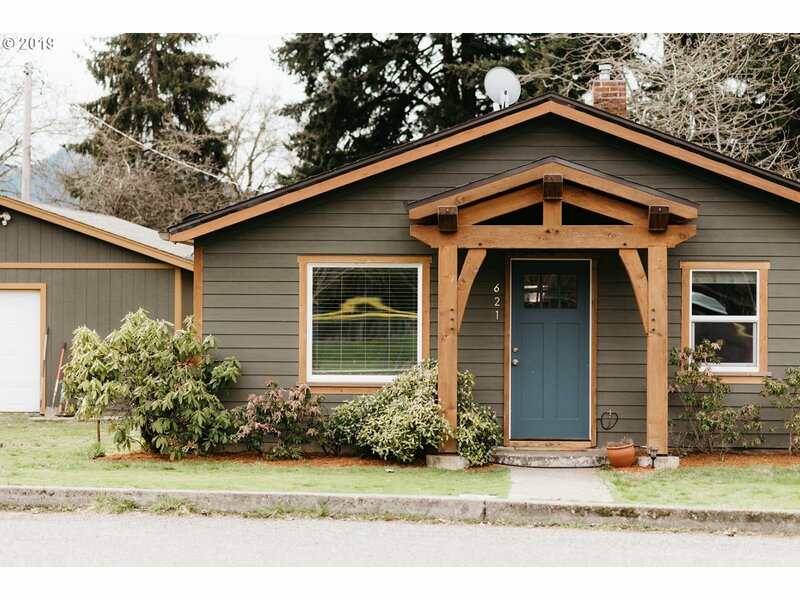 "Completely remodeled classic old White Salmon home on double lot. Loaded with extra touches, highest quality materials and workmanship. Amazing back yard with mature landscaping highlighting a one of a kind very large water feature. Located in town, this house makes you feel right at home. 35 minutes to Mt. Hood and 5 minutes to river activites!" "Great 3 Bdrm. 3 Ba. house in town with all kinds of possibilities. Great views, has a tree house feel when trees are in bloom. Use as a family home or live upstairs and rent out the lower portion that has a private entrance. Some River view. Just 3 blocks to elementary school, park and pool. Currently rented. Large master suite with jacuzzi tub and electric fire place in the Master Bath. All kinds of possibilities." "JUST WHAT YOU'RE WAITING FOR! In town, easy walk to everything, 3 bedrooms, 2 full baths upstairs, half bath on main, open floor plan, lots of sunlight through French style windows, maple strip flooring, neutral berber carpeting, spacious feel, beautiful low maintenance landscaping, private fenced sunny backyard with room for growing those fresh veggies. You'll enjoy coming home to this one. New stove and refrigerator to be included." 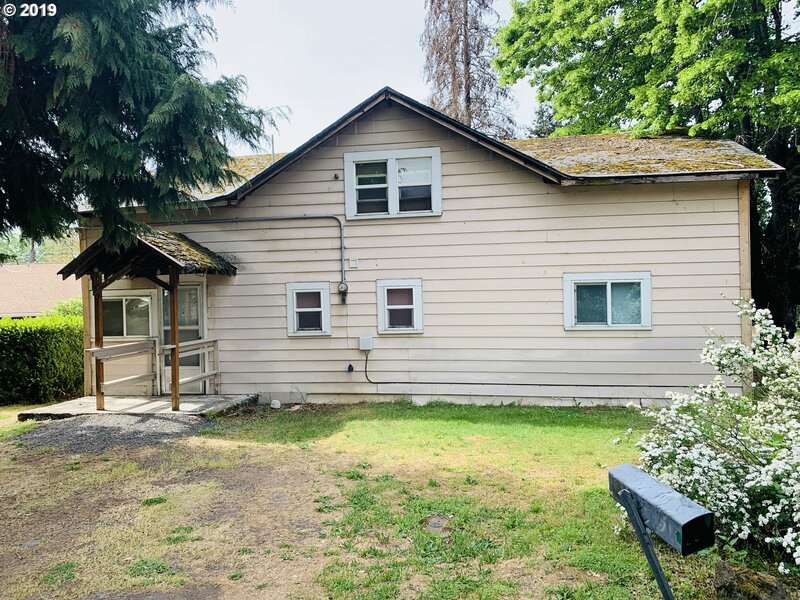 "Absolutely Turn-key Duplex on .53 Mt.Hood View Lot just West of Downtown White Salmon in the Pucker Huddle Neighborhood! 2 Bed/1 bath each w/Att. Garages!Updated thru-out w/Newer Vinyl Windows, Vinyl Plank & Pergo Flooring, Ceiling Fans,Kitchen Cabinets,Counters & Appliances + W/D & Updated Baths.TONS of Parking & Great Yard w/Mt.Hood View! Located Directly Across from the Exercise Path that circles downtown White Salmon. Won't Last!" "Tastefully updated single level home across from Pioneer Park/community fields. Timber frame entry, detached garage and a fenced yard. Convenient access to Jewett Creek and trails with a Burdoin Mtn backdrop. Excellent short term rental history." "Move-in ready. Freshly remodeled home with new paint inside and out, new flooring, carpet, and SS appliances. Home sits on a beautiful 5 acres with large pole barn. Could be a great horse property, small farm or just a place to have some elbow room. Easy to show." "This adorable, one-level home, is move in ready! Located just blocks from downtown White Salmon. 2 bedrooms, office, 1 bath, 1 car garage. Neat and clean! Built in 2002 and very lightly lived in. Call today for a viewing appointment!" "3 bed, 2 bath one owner home with outbuildings, irrigation, RV parking and a stellar master suite with double sinks, a large bath tub and a water closet. Enjoy beautiful territorial and mountain top views from the large living room windows. Well pumps 10 gallons per minute, septic has an RV hook up. Come to the open house this Saturday April 20th from 12pm to 3pm for a closer look!" 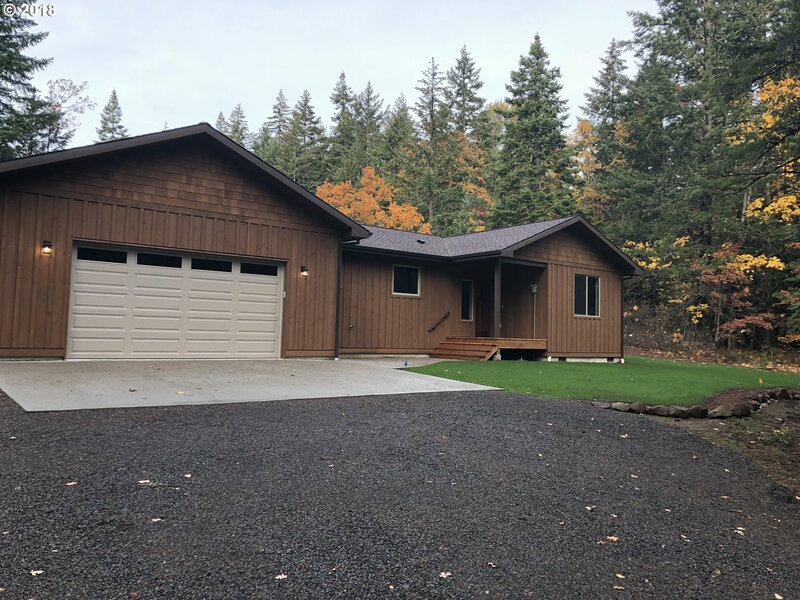 "3 bed, 2 bath one owner home with outbuildings, irrigation, RV parking and a stellar master suite with double sinks, a large bath tub and a water closet. Enjoy beautiful territorial and mountain top views from the large living room windows. Well pumps 10 gallons per minute and septic has an RV hook up. Come to the open house this Saturday April 20th from 12pm to 3pm for a closer look!" "Corner lot with 2 story fixer or possible tear down and start over. Just walking distance from all your daily needs. Open floor plan, with good size kitchen and plenty of cabinet space. 1 bedroom on main level and 2 up with large storage room."